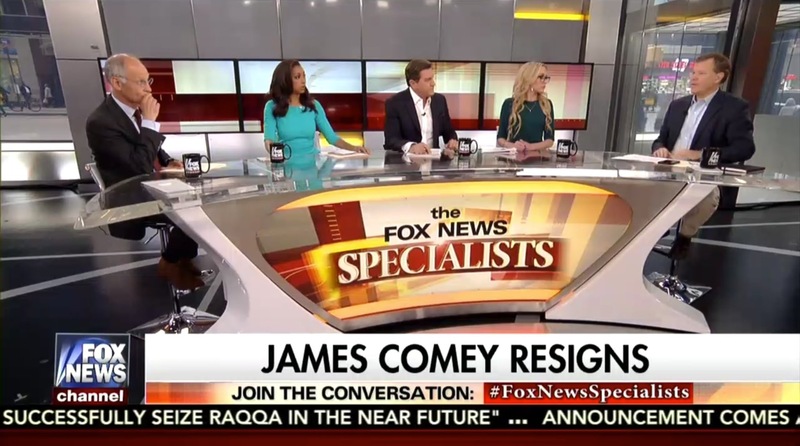 For nearly a minute, a lower third insert graphic on Fox News Channel’s “The Fox News Specialists” incorrectly cited that now former FBI director James Comey had resigned. Comey was fired by Donald Trump. The mistake was quickly picked up on social media as a purported example of Fox News reporting inaccurate or biased news, though it’s also certainly possible that in the rush to get on air, the graphic text was entered incorrectly. The error was eventually corrected on screen and co-host Eric Bolling clarified that Comey had been “dismissed” by Trump.